Today, GIFs can be seen almost everywhere. They are widely used on the World Wide Web, hence, the demand of converting MP4 to GIF is increasing. After a lot of queries and comparisons, we rounded up the top 3 online MP4 to GIF converters to help you convert MP4 to GIF with ease. How Do I Convert MP4 to GIF? Q1: How do you convert video (.mp4) to animated GIF with good image quality? Thanks! Q2: I’m trying to cut a short video and export it to an animated GIF, but the GIF format is no longer available in the formats list box. Most of my videos are MP4 format, so, any MP4 to GIF converter can be recommended? How Do I Convert MP4 Video to GIF? A: GIFs are gaining popularity among users as they can communicate a lot of information. There, GIF is a useful solution when you want to provide more accurate visual information while you can't accommodate a large number of video in your project. Back to the above questions, how can we convert MP4 to GIF? Which MP4 to GIF converter should we choose? Keep reading, you will find answers. Usually, you just need to convert video clips to GIF instead of a whole video. 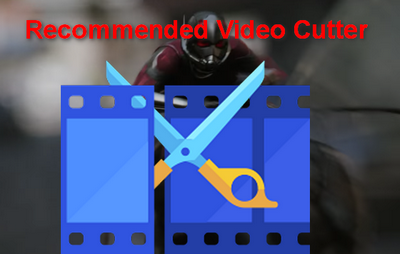 In this case, a free and powerful video cutter is what you need first. Download Free HD Video Converter Factory to cut your desired video clips for making GIFs. 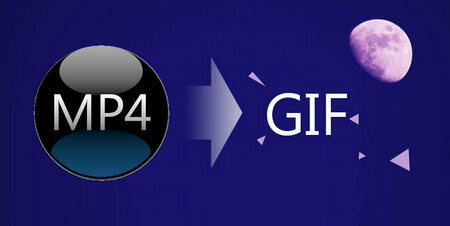 With this MP4 to GIF software, you can upload your videos to convert them to animated GIFs. Source video file can be uploaded from your computer or smartphone or fetched from another server by URL. Step 1: In order to convert MP4 to GIF, you need to visit https://ezgif.com/video-to-gif firstly and upload the MP4 video you want to convert to GIF. Step 2: Click “Upload video!” to enter a new window. 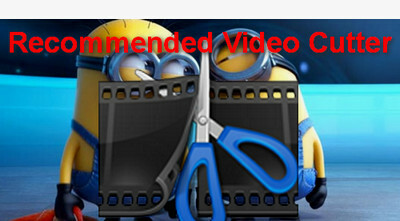 Here, you need to select the part of the video you want to cut, entering start and end time. If nothing is selected, the online service will make a GIF from first five seconds of the video clip. Step 3: Edit your MP4 video such as crop video, add subtitles to video, cut video clips, and even compress video size, etc. Once you have edited video, click “Convert” to convert MP4 to GIF. Pros: Support MP4, WebM, AVI, MPEG, FLV, MOV, 3GP and other video files | Provide multiple edit functions. 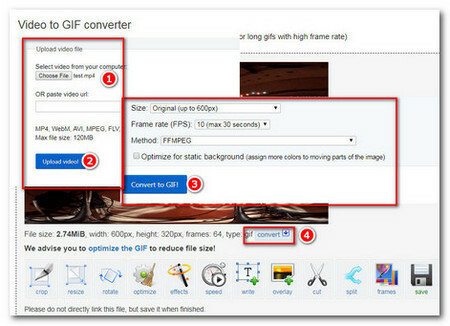 Step 1: In order to convert MP4 to GIF, firstly, please visit https://www.onlineconverter.com/mp4-to-gif and click “Source” to select “Upload a file” to choose a local MP4 video. Or upload an MP4 video URL. Step 2: Click button "Convert" to start to upload your file. Step 3: Once upload completed, the converter will redirect a web page to show the conversion result. Pros: All MPEG-4 video can be supported such as .mp4, .m4p, .m4b, .m4v | Friendly interface and easy to operate. Cons: Only supports up to 200 MB of video | The download link for converted GIF is only active in 24 hours and 10 times. Convertio is an acclaimed online conversion service site, where is extremely convenient to convert MP4 to GIF. Step 1: For converting MP4 to GIF on Convertio, you should go to https://convertio.co/mp4-gif/ and select files to convert or drag & drop them on this page. Four choices for you: from computer, Dropbox, Google Drive, and URL. Step 2: Choose GIF under Image and then click Convert to enter a new window. Step 3: After a while, this MP4 video will be converted into a GIF. All you need to do is click the Download button after the MP4 GIF conversion reaches 100%. These online conversion platforms can come in handy when there is a need to make file conversion from MP4 to GIF. 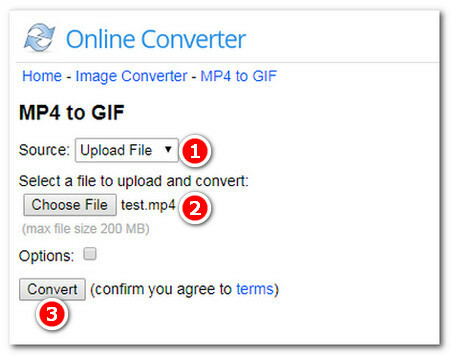 In several easy steps you can convert MP4 to GIF and ready to use. Hope the above 3 recommended MP4 to GIF converters do help you. Free HD Video Converter Factory is the best choice for you to cut your MP4 video clips and then convert the desired video clip to GIF. This software is worth a try!